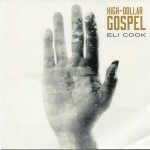 A sure-fingered acoustic player and a robust and keenly adaptive vocalist, guitarist Eli Cook both plays his blues straight and takes some unexpected, fresh-sounding side trips as well. Decidedly rockin’ tracks such as “Trouble Maker” and “King Of The Mountain” stand alongside the jazzy, sonically spacey “Pray For Rain”. That latter treatment is also key to a positively unlikely- and fascinating- recast of Muddy Waters’ “Can’t Lose What You Never Had”. Other standouts include “Mixin’ My Medicine”, “The Devil Finds Work” and a pleasantly lazy-paced reading of Dylan’s “I’ll Be Your Baby Tonight”.